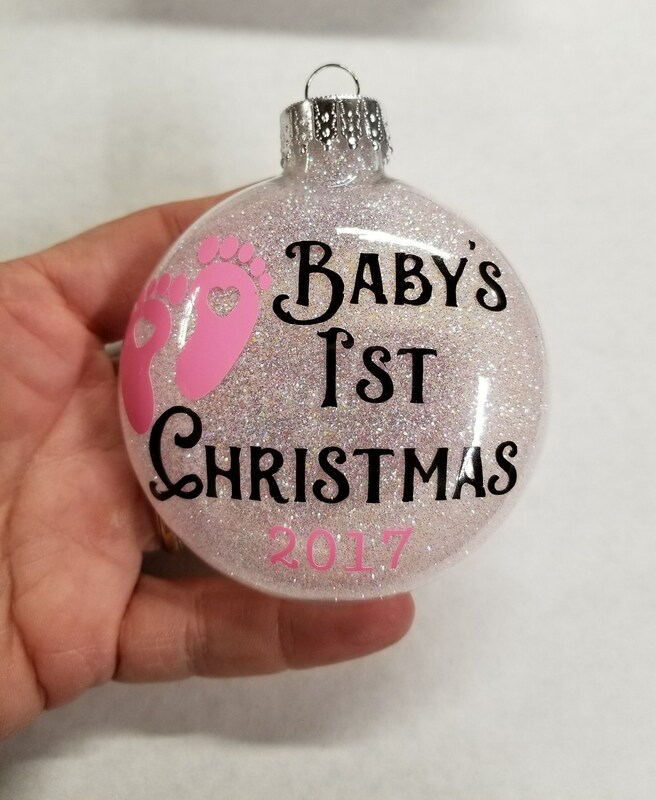 Our beautiful Baby's First Christmas ornaments are gorgeous glitter ornaments. 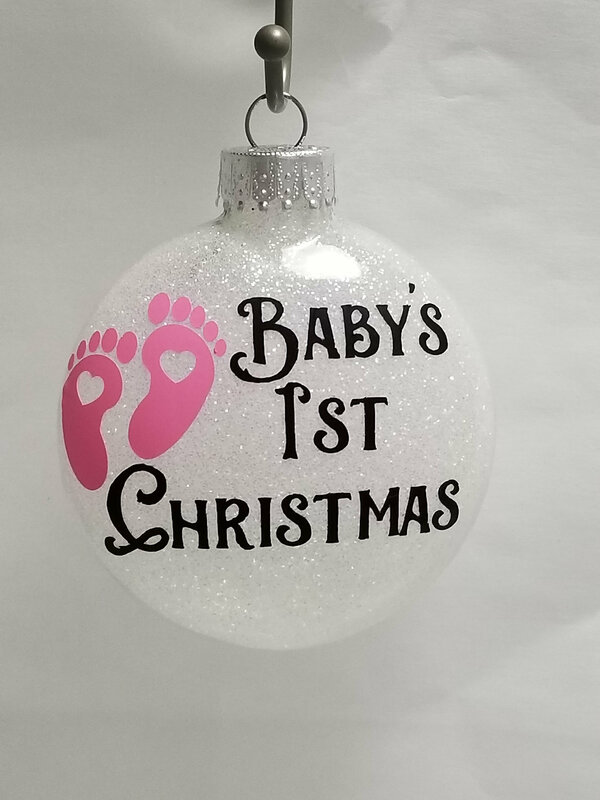 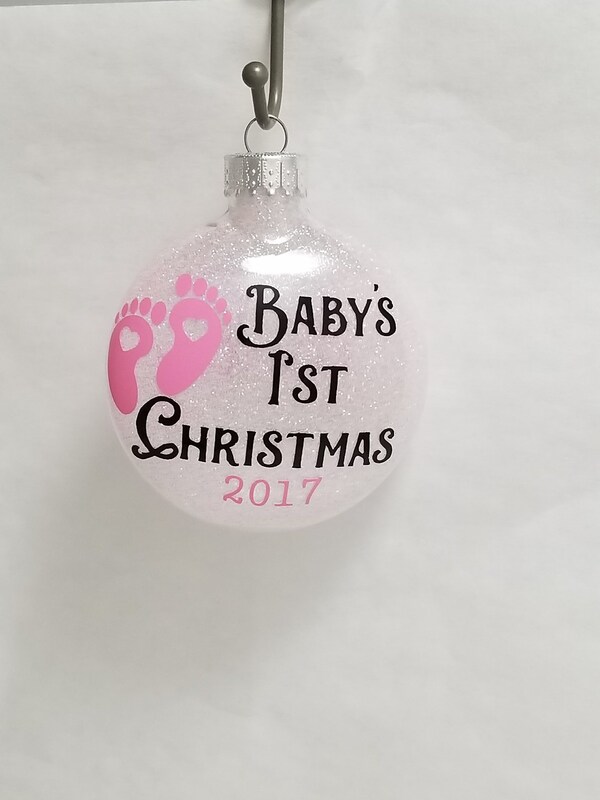 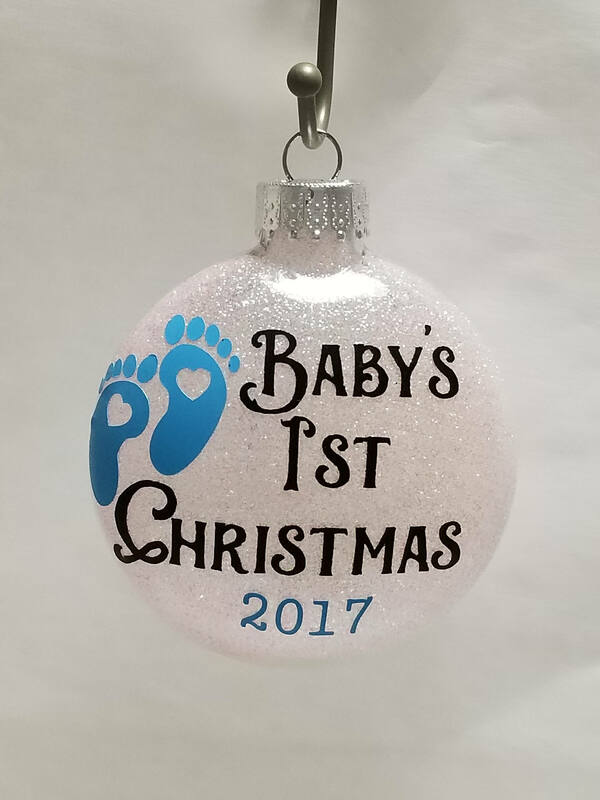 These baby glitter ornaments are a wonderful keepsake for new parents or grandparents. 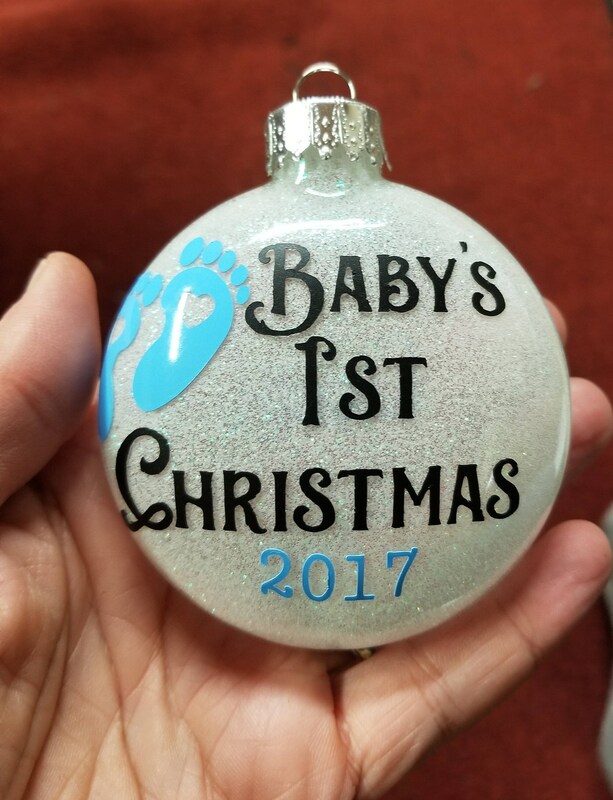 They are also a fun way to spring the news on family members that you are expecting!! 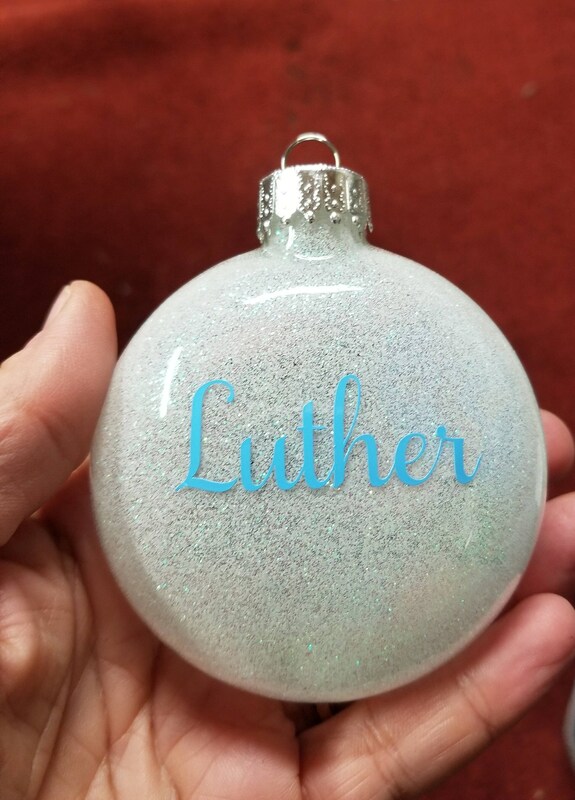 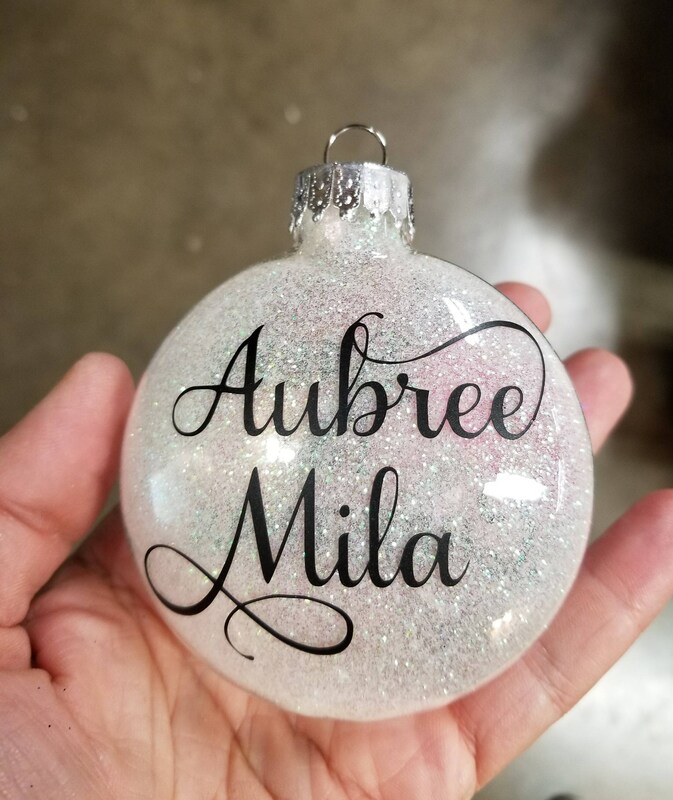 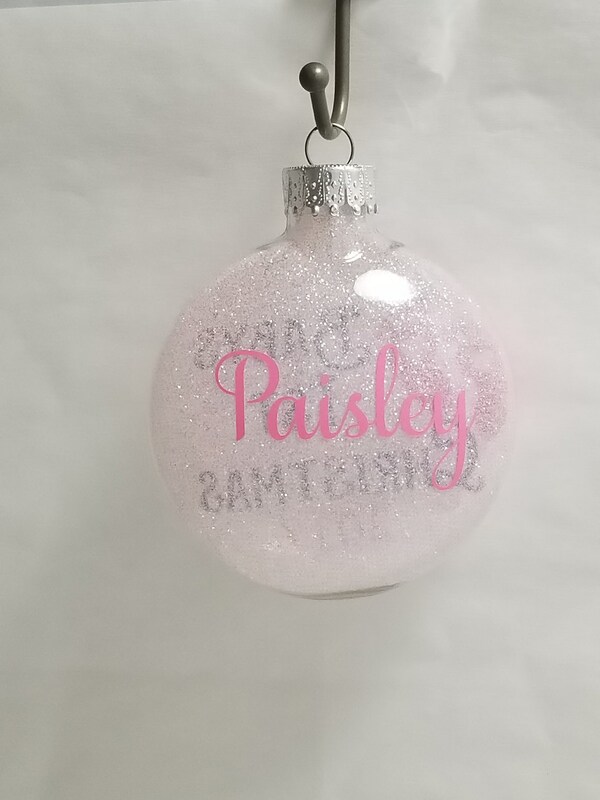 These ornaments can be ordered with or without names, your choice. 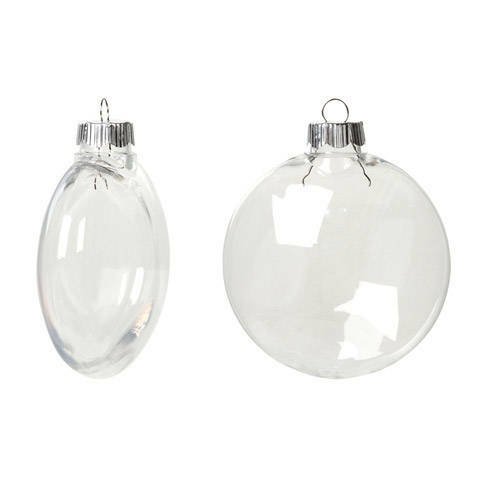 These beautiful disc shaped ornaments measure approximately 3.25" across and 1" thick. 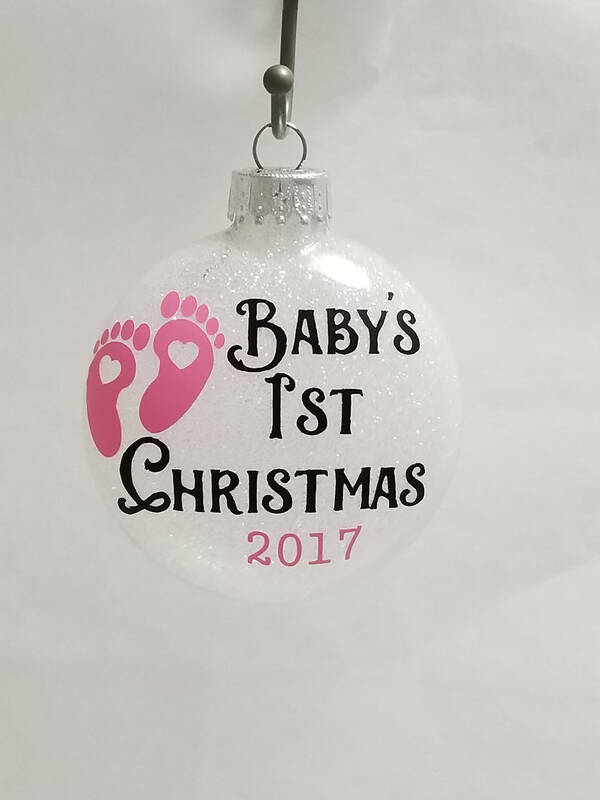 Please refer to the final picture in the listing for the best representation of the ornament's shape.